Kim Knight aka the Kiwi Health Detective, talks about the power of our thoughts and emotions on our well-being. However, can positive thinking help to regain and improve our physical and mental state of well-being? Watch the video, as Kim shares her expertise on positive thinking. Furthermore, learn how to detect the negative thoughts and stress triggers in your life, and the strategies to tackle them. Kim Knight aka the Kiwi Health Detective, shows us how our beliefs, behaviors and results are interconnected. In addition, find out whether harnessing limiting beliefs create symptoms of illness, as Kim deciphers the impact our beliefs can have on our health. Kim Knight aka the Kiwi Health Detective, tells us why the stress response in our body is for “safety,” as she explains the purpose of the Autonomic Nervous System (ANS) and its two systems: Sympathetic and Parasympathetic Nervous System. In addition, understand the significance of our body’s stress response in maintaining the state of equilibrium and good health. Kim Knight aka the Kiwi Health Detective, explains the Mickel Therapy- a novel technique in interpreting the symptoms of psychological disorders: anxiety and depression. In addition, understand how to interpret the symptoms of chronic illness in order to clear the feelings of anxiety and depression out of your life. Kim Knight aka the Kiwi Health Detective, explains why it is difficult for us to de-stress from our busy and hectic schedule. Furthermore, Kim shares her perspective on how we allow stress to settle in our body unconsciously, and shares a few tips on how to de-stress. Kim Knight aka the Kiwi Health Detective, shows how we can clear the symptoms of our illness by making new strategies and implementing the right kind of behavior. Furthermore, Kim helps us understand the laws of health and ways to stop deviating from them. Kim Knight aka the Kiwi Health Detective, poses a question: What do martyrdom and mastery have to do with health and happiness? From this video, we understand how feelings of dis-empowerment and limiting beliefs can take us to the path of unhappiness and illness. In addition, Kim shows us how we can identify our thought patterns and work towards mastering them, in order to regain our health and happiness in life. Kim Knight aka the Kiwi Health Detective, talks about the significance of trusting our body’s self-healing process. More often than not, we find it difficult to completely trust our self-healing mechanism in any course of treatment. Watch the video to learn how believing in our ability to self-heal from illness can largely influence any therapeutic alternatives and its results. 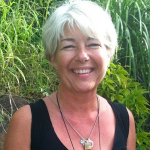 Kim Knight aka the Kiwi Health Detective, shows how you can rediscover your authentic health and happiness. However, is it possible to reduce negative feelings by addressing to their root cause? Indeed, it is possible according to Kim, as she explains how your health is affected by the level of unhappiness in your life, and the various factors that can lead you to the path of holistic health. Kim Knight aka the Kiwi Health Detective, talks about the subject of grounding and why connecting with the earth is important to boost health. In this video, learn about the different aspects of grounding and how it helps to promote our well-being. Kim Knight aka the Kiwi Health Detective, talks about the 10 signs of stress that we experience on a daily basis, but are unaware of them. In this video, Kim talks about how our body is stuck in the stress response phase, only to breakdown with symptoms of illness and fatigue. Furthermore, find out these stress signs, which may be the reason for your illness, and improve your health condition with the necessary changes in your life. Kim Knight aka the Kiwi Health Detective, talks about de-mystifying and de-mything the ‘quick fix’ expectations of healing. Ever wondered, why we tend to suffer from similar symptoms, especially in a chronic illness. In part 2 of this video, Kim shares her perspective on how emotional conditioning determines the progression of any illness. In addition, find out why investigating emotions is vital in getting to the root cause of any health condition. Kim Knight aka the Kiwi Health Detective, talks about de-mystifying and de-mything the ‘quick fix’ expectations of healing. Most of the times, we are impatient and harness unrealistic expectations of quick results from our treatment. In part 1 of this video, Kim explains why impatience and unrealistic expectations in healing are unjustified. Furthermore, she guides us on the appropriate steps for having a realistic approach in our healing process. 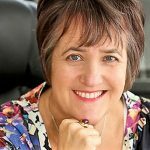 Kim Knight aka the Kiwi Health Detective, tells us how she helps women create the life they want by clearing their past issues of traumas and limiting beliefs. Get more information on the services she offers through her online programs and private coaching, to connect with her further. Kim Knight aka the Kiwi Health Detective, discuses the topic of healing response in our body and what we learn from our symptoms. 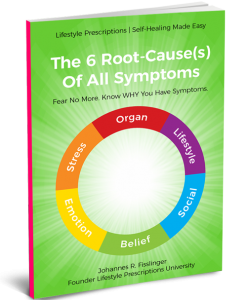 Are symptoms always an indication of an ongoing illness or a part of our healing process? In this video, Kim helps us identify the healing response in our body and suggests ways to address it appropriately. 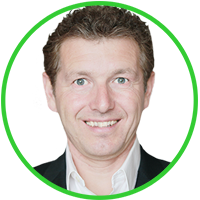 Kim Knight aka the Kiwi Health Detective, explains how stress puts our body under tremendous pressure to function optimally. However, stress to some extent is healthy, as it enhances our caliber. On the contrary, stress overload on our body, can and will lead to illnesses, if we don’t learn to draw the line and manage our stress triggers effectively. Kim Knight aka the Kiwi Health Detective, presents a video series: ‘what causes illnesses?’. This video will transform our understanding of an illness, as we learn the cycle of health. In addition, find out other aspects that may well contribute in creating physical symptoms of a health condition and how our body recovers from it. Kim Knight aka the Kiwi Health Detective, gives a brief introduction on the factors that cause illnesses. Moreover, how often do we look beyond a physical cause to know what creates an illness or a disease? In this series, Kim throws light on the various factors that can contribute to an illness and how to deal with them effectively. Christa Krahnert, Naturopathic Doctor worked for over 20 years with pain management, cancer and chronic health issues patients and shares her experience about pain in this video. She talks about pain and it’s many variations. What if pain is actually a sign of healing and regeneration? What if you could know the root-cause of pain and therefore transform fear of the unknown into awareness and trust into your body’s healing intelligence? Learn more about Powerstrips, Ketopia. 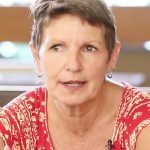 Christa Krahnert, Naturopathic Doctor worked for over 20 years with cancer and chronic health issues patients and shares her experience about pain in this video. She talks about pain and it’s many variations. What if pain is actually a sign of healing and regeneration? What if you could know the root-cause of pain and therefore transform fear of the unknown into awareness and trust into your body’s healing intelligence? Learn more about Powerstrips, Ketopia. Cindy Hubbka shares her story of discovering META-Health and applying the perspective of META-Health in her nursing profession. Learn about the various alternatives that she used to treat her illness and how META-Health helped her overcome her challenges in life. Cindy Hubbka talks about integrating META-Health with the traditional medical approach. Find out the ways in which she uses the concept of META-Health in connecting with her patients at an emotional level, as she believes that dealing with our emotional issues can ease the self-healing process. Yeliz Rugar discusses how META-Health helped her treat her mother’s illness. Learn about the influence of META- health in helping her balance her life and attain good health.